Process discovery has been shown to be a challenging problem offering limited results. This paper describes a new approach to process discovery that examines the Internet information spaces of open source software development projects. In particular, we examine challenges, strengths, weaknesses and findings when seeking to discover, model, and re-enact processes associated with large, global OSSD projects like NetBeans.org. 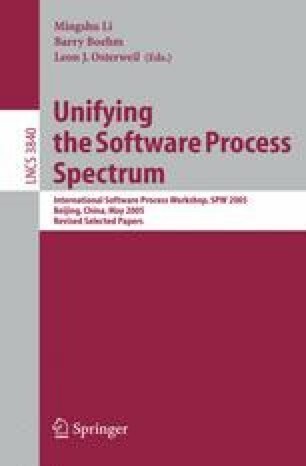 The longer-term goal of this approach is to determine the requirements and design of more fully integrated process discovery and modeling mechanisms that can be applied to Web-based, open source software development projects.